Henry R. Luce would bring the first female photojournalist, Margaret Bourke-White, to TIME Inc in 1929 to work for his brand new Fortune Magazine. Only a couple of years out of school, Bourke-White had begun establishing her reputation in Cleveland where she artfully captured images of local industry. Her first story for Fortune would detail the activity at a hog processing plant. Margaret Bourke-White was born June 14, 1904 in the Bronx, New York. Though she initially went off to school to study reptiles as a herpetology major, she had absorbed the basics of photography through her father who took photos in his spare time throughout Margaret’s formative years. Bourke-White’s college career took her all over the country throughout the 1920’s: Columbia University, the University of Michigan, Purdue University, Western Reserve University, finally she received her degree from Cornell in 1927. 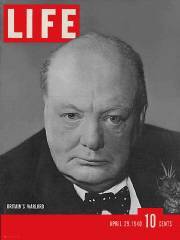 Besides her work for Fortune, Margaret Bourke-White would also have the honor of being credited with the first cover of LIFE Magazine in 1936. 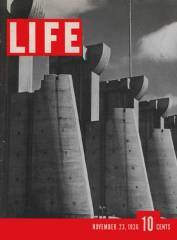 The cover photo of the Fort Peck Dam was accompanied by a Bourke-White photo-essay inside this same issue covering the workers who were building the dam in New Deal, Montana. Bourke-White teamed up with Tobacco Road and God’s Little Acre author Erskine Caldwell to produce “You Have Seen Their Faces”, a book filled with photos of people suffering through life during the Depression. She would marry Caldwell, her second husband after a brief marriage to college beau Everett Chapman, and the couple would be the only foreign journalists in the Soviet Union when Hitler invaded in 1941. Bourke-White and Caldwell divorced in 1942. Margaret Bourke-White was the first female war correspondent and was allowed in combat zones throughout World War II. In 1945 she photographed the shocking aftermath of the Nazi atrocities discovered by U.S. troops liberating the Buchenwald Concentration Camp. After the war she would cover the emerging independent nations of India and Pakistan. 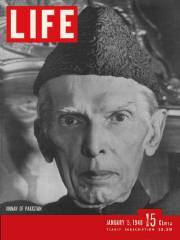 Bourke-White took numerous photos of Gandhi as well as a photo of Mohammad Ali-Jinnah which appeared on the cover of a popular 1948 issue of LIFE Magazine. Bourke-White was politically left wing and involved with the Communist Party to some degree. Her leanings could have led to trouble later on, as she had fallen under the eye of Senator Joseph McCarthy, however she exonerated herself by issuing a statement regarding her feelings for democracy and opposition to dictatorships from either end of the political spectrum. In 1956, Margaret Bourke-White was diagnosed with Parkinson’s Disease. She underwent an experimental surgical procedure, which did temporarily correct the disease and allow her to return to work, however her Parkinson’s returned in 1961. She once again underwent surgery, but this time the aftermath did effect her speech to some degree. In 1971 Margaret Bourke-White injured herself in a fall. She would be confined to a hospital bed in Connecticut until her death on August 27, 1971. Baughman, James L. Henry R. Luce and the Rise of the American News Media . Boston: Twayne Publishers, 1987. Hall of Fame. Margaret Bourke-White (1904-1971). Accessed: October 23 2005. Spartacus Educational. Margaret Bourke-White. Accessed: October 23, 2005. The Digital Journalist. Margaret Bourke-White – History Making Photojournalist and Social Activist. Created: January 2003. Accessed: October 23 2005. Women in History. Margaret Bourke-White biography. Created/Last modified: October 22 2005. Lakewood Public Library. Accessed: October 23 2005.